Situated in the Haute Savoie and nestled under the Auigille du Midi & Auguilles Rouges peaks , this resort is legendary amongst skiers/snowboarders and climbers alike ! The resort itself has a buzz about it all year round and many staff that do a few seasons here can often find them being drawn back time and time again and eventually living here ; it certainly deserves the reputation of the extreme alpine capital of the world . Plenty of work here , lots of tour operators , chalet companies etc ..plus the bars all have a fair amount of brit staff but a lot of staff want to go back year after year , so don’t expect it to be easy to walk into a position here. Cham is comprised of several ski area and these can be accessed by the bus which is included in your ski pass ,If you are just starting out then you will want to stay close to the resorts : La Vormaine near La Tour , Les Chosalets in Argentiere , Le Savoy are really set up for younger kids but also for those of you taking your first few days on the slopes . Once you have progressed and want to have more fun higher up then you should be heading for : Les Grands Montets , Brevent/Flegere & Le Tour/Vallorcine . If you are looking for thrills on a daily basis then read on below …. Wow .. where to start ?? Well heading up to the Grand Montets is a given , although with easy access to the steep and deep from the Grand Montets lift system you have to expect this area to get tracked very quickly so its first lift for you , no matter how big last night was! La Tour is a great place early season while a few rocky patches are still showing elsewhere , you can head here and while it might not be the steepest terrain , there will be a good stash of powder even when the rest of Cham may be tracked out. Flegere and Brevent areas tend to be a bit on the quiet side and if you are looking for some sweet powder while Grand Montets area is getting tracked out then this area gives you way more bang for your buck ! Le Vallee Blanche is a renowned itinerary run from aguille du midi down into Italy and over to near courmayer , whilst not massively challenging the stunning scenery and vastness of the terrain will stay with you forever , obviously you are going to need a guide and this year you will need transport too and the returning cable car is being revamped . 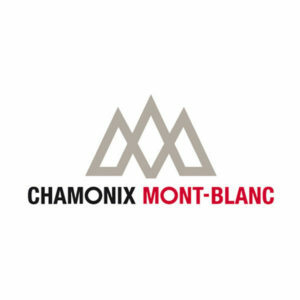 For any old gits like me Chamonix and the movie “The Blizzard of Aahs!” and intertwined and kicked off my worship of Glen Plake whilst in my second season in Courchevel ( way back in 1989 ! ) , watch a little classic 80’s ski movie here ! , we were rocking the onesie years ago ! Le Jekyll is a main spot for workers and have some brilliant bands through the week. The Office is naturally a big draw for those on holiday and workers too. Munster Bar , where else would you want to be watching live sports ( six nations is amazing here ) and enjoying some Irish hospitality. The Vagabond is worth a stroll if you are not in this neck of the woods , chilled out and cosy , unless there’s a big game on and then its raucous ! There are MANY MANY more ,if you work here this winter then try to tick them all off !